Universal hole pattern: Universally fits 26"-55" televisions with a back hole pattern up to 400x400mm. 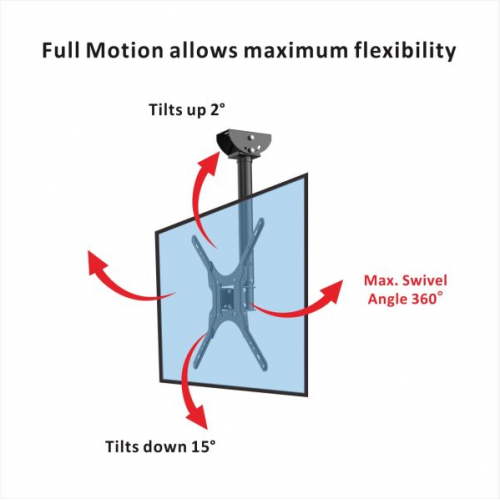 360° rotation allows maximum flexibility:Provides wide-angle swiveling between -180° to +180° to meet a variety of different viewing needs. 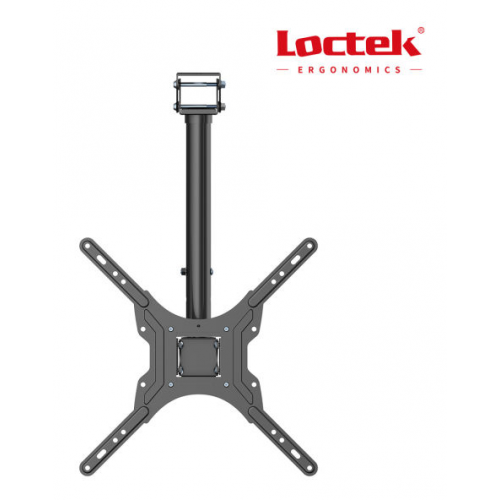 Adjustable TV height: Offers a wide adjustable height range between -20" to 32" to help meet different viewing needs. Adjustable ceiling plate: The ceiling plate can be adjusted between 0-90°.It can attach to a flat ceiling, a sloped ceiling, or the wall as well. Tilt your TV for perfect viewing: Tilt between -2~15 degrees, relieving fatigue and back strain. The Loctek CM1 wall ceiling TV mount offers an attractive way to display your TV while also providing flexible viewing options. 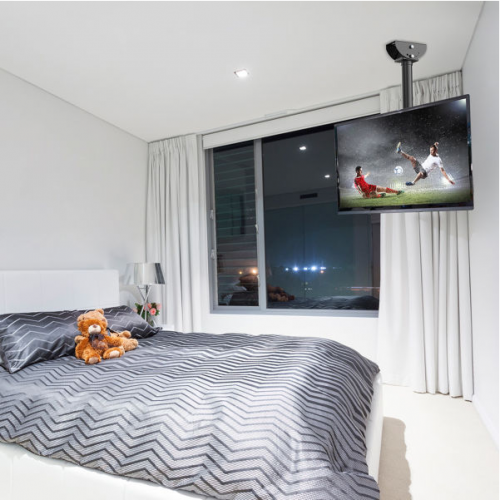 The support pole can easily be adjusted between -20" to 32"allowing you to enjoy watching TV in a more comfortable, ergonomically correct position. 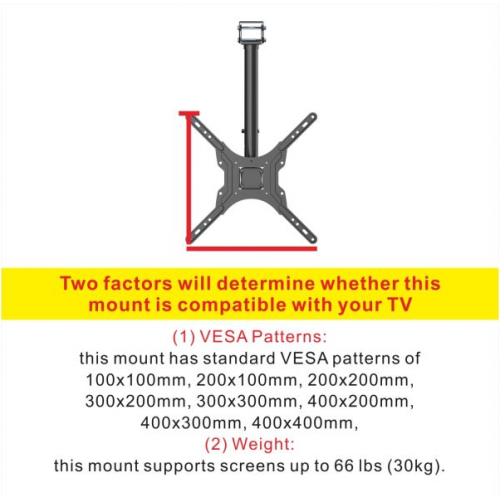 The CM1 TV wall mount can hold a flat screen TV between 26 and 55 inches with a max of 400x400mm VESA compatibility and 66lbs max loading capacity. Perfect for offices, bars, restaurants, dental clinics, fitness centers, grocery stores, medical offices, home installations and more!